You love your curtains, right? I mean, one of the fastest and easiest ways to completely change the look of your room is to change your curtains. I can’t tell you how many times over the years I have added new curtains to a room to give it a major facelift. You may love your curtains but you don’t love paying for new ones every time you want to change the look of a room. 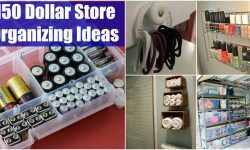 That’s why I’ve put together a great list of 20 easy DIY curtains that you can make with little or no money whatsoever. Imagine being able to transform your room, any room, without spending a small fortune on window coverings. 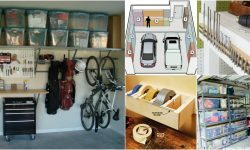 Be sure to also check out these 50 Amazingly Clever Cheat Sheets To Simplify Home Decorating Projects. Now back to our curtains. You can make so many great curtains with things that you have laying around the house. Have a few tea towels? 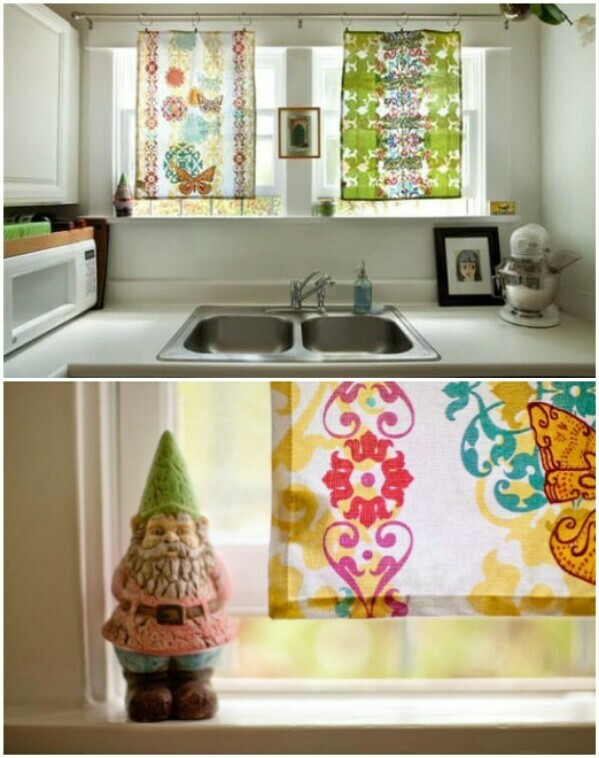 You can make kitchen curtains with them! 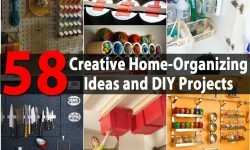 I love repurposing and creating gorgeous curtains is the perfect repurposing project if you want to redecorate on a budget, and you know how I’m all about a budget. Let those old boring drapes go. Get rid of those torn up blinds, and add something amazing and beautiful to your windows. You’re sure to find the perfect window treatment in this collection. From modern to vintage, there’s definitely something for everyone and every window. 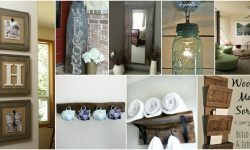 Oh, and if you love vintage, be sure to check out my 30 Charming Vintage DIY Projects for Timeless and Classic DÃ©cor. Some of these projects will go beautifully with new vintage curtains. Now, let’s get to covering those windows! I love creative hacks and these DIY pom pom curtains will look just like you bought them at a high priced home improvement store. 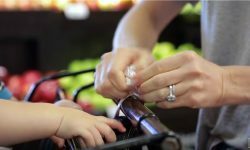 Only you will know how inexpensive they are, and they’re really easy to make. You can pay a couple hundred dollars for PB Kids curtains if you want, but you can also easily make the same thing for around $20. Whether you’ve bought a bunch of tea towels on sale (for around $1 each at the Dollar Store) or you’ve made your own and have a bunch left over, you can use those towels to create these really gorgeous tea towel curtains. This is one of the easiest DIY curtains in the collection, and it’s so original. There’s no sewing involved. Just attach hooks to your tea towels and hang them! Some plain white curtain panels, stencils, fabric paint, and a bit of imagination are all you need to create these stunning drapes. You can choose any stencil that you want, and these are really easy to make. You can even use a paint roller to apply the paint, so they take literally just a few minutes each. Some inexpensive white panels, which you can get at Wal-Mart for around $9, acrylic paint, and a paint roller let you create these amazing washable striped curtains. Use whatever colors you want. The best part is they’re really cheap to make and so easy to care for. I love the look of these script curtains that you create from inexpensive white panels, or use whatever light color you want. Just take a sharpie and write whatever you want on them in beautiful script. These would be perfect for a den or library, if you’re lucky enough to have a library at home, or put them on the window by your favorite reading chair. Have a tablecloth that you just don’t use anymore? Or maybe you just have one that you think would be the perfect curtain for your dining or living room. You can easily turn that tablecloth into a curtain. Even if you don’t have one on hand, you can pick up old tablecloths at yard sales and flea markets, sometimes a lot cheaper than curtains. Every girl needs to know how to sew basic panels. Even if you don’t have a lot of sewing experience, these panels are really easy to make, and they let you create gorgeous curtains for every room in the house. You can also use them to create some of the other projects that require panels to make. Find cheap fabric at flea markets and yard sales and get to sewing! Tie-Dye will simply never go out of style, especially in home dÃ©cor. If you want something that looks really elegant and is unique, these tie-dye curtains are perfect. The trick is in the fold, and you can fold your curtains different ways before you dye them to create different looks. These are great for any room in the house. I absolutely adore this lace look! 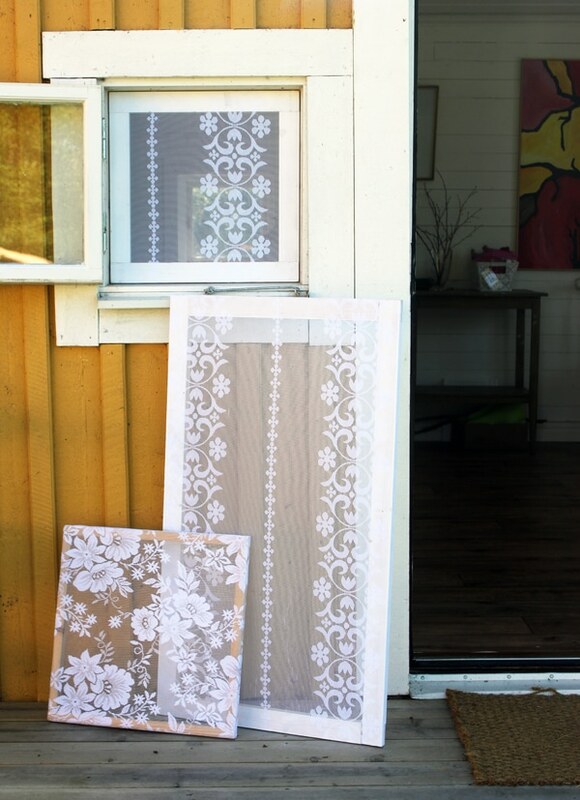 By simply covering your window screens with some old lace curtains and securing it with fabric glue, you can create this beautiful and elegant look for any room in your home. If you don’t have old lace curtains to use, you can also use lace tablecloths or any lace fabric that you may have laying around. Combine with lace curtains and you’ll really have that Victorian era look going on. 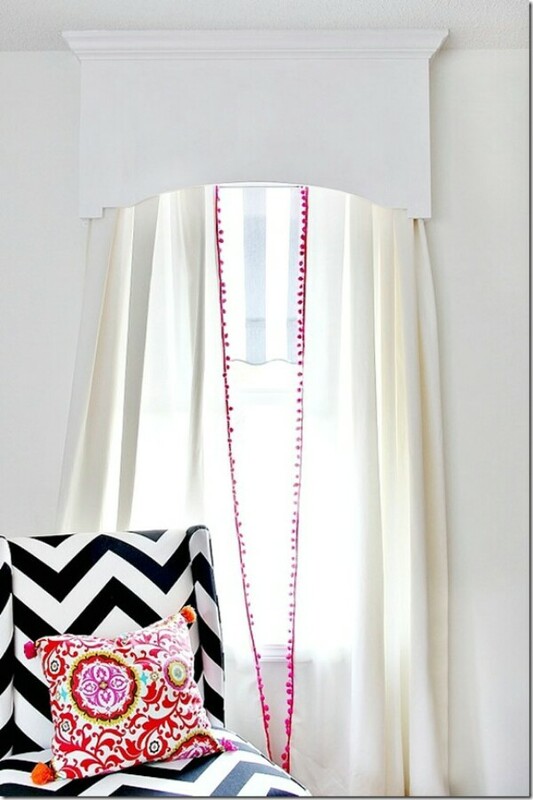 Take those boring old plain basic drapes and make them luxurious when you add DIY ruffles. They’ll give any room a feminine look and add a bit of pizazz to those otherwise dull drapes. 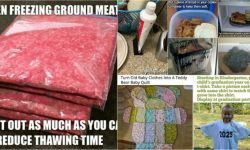 The best part is they’re easy to make and even the most newbie sewer can create them. Add as many or as few ruffles as you want to make then unique to you. These gorgeous curtains can be made without sewing, unless they need to be hemmed. You’ll use liquid fabric glue to place the Grosgrain ribbon, and the finished look is amazing. I love the contrast between black and white, but you can use this process to create any color or pattern that you want. Maybe you don’t want curtains at all. This barn wood valance is perfect for kitchens and so very easy to DIY. Just grab an old wood plank, if you don’t have one handy you can pick them up virtually everywhere, and paint whatever you want on it. Lyrics are always a great idea. Make sure that you cut the wood to fit your window and then hang it up! 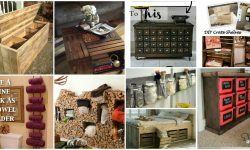 Want to really make your home look rustic? Try these indoor kitchen shutters that you can create from slats or other leftover wood planks. I love the look of indoor shutters! They’re so unique and so much different than other window treatments. Plus, these are really easy to make and once you stain or paint them, they’re perfect to match your kitchen dÃ©cor. 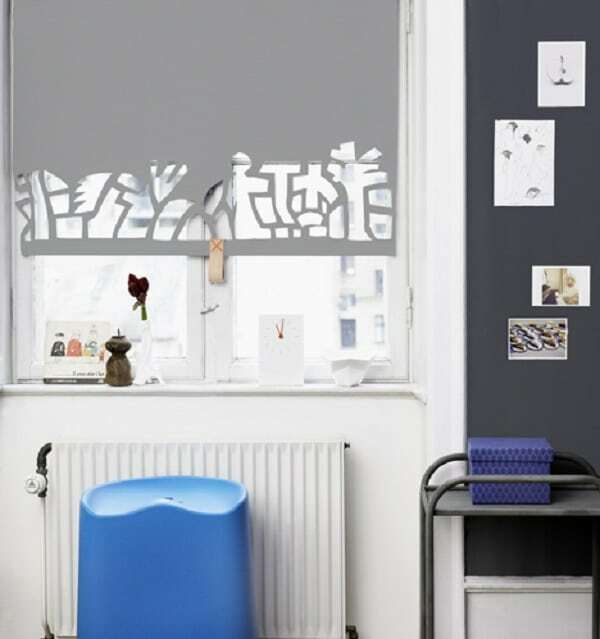 You can create these great Roman shades with just a yard of fabric, and there’s no sewing involved. You have three different options for how you want them to look. I love Roman shades. They’re so elegant and so different from traditional curtains. They’re perfect for smaller windows, too when you just can’t find curtains or blinds to fit. Drop cloths that you can pick up at any hardware store are perfect for making curtains. And, you can paint them however you want. Use paint that’s leftover from painting your room trim to make them match perfectly or go in a completely different direction. The point is, these are easy to make and look like really expensive curtains when they’re finished. Here’s another great painting idea for curtains. 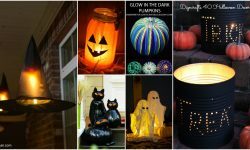 You can make them completely unique in just a couple hours from start to finish, and this technique is really easy. These mimic Crate & Barrel’s Alston curtains, but you can make them for under $10 apiece as opposed to nearly $100 for the originals. Oh, how I hate folding fitted sheets. Making them into window shades however, I love. This is a great no sew way to get a new shade for your window, and it’s super easy to do. Plus, you can use up those fitted sheets that you aren’t using on the beds. This is a great idea to get rid of those sheets when you’ve upgraded to a bigger bed. Build this great DIY cornice board, which is so very easy by the way. Cornice’s look great on windows, particularly those in the bedroom or dining room. This is such an easy project and one that will look especially stunning with some of the other DIY curtain ideas in the collection. Add a bit of architectural design to all of your windows with a new cornice board. These Anthropologie knockoffs are really easy to DIY. They do require a bit of sewing, but not so much that a newbie couldn’t make them. The fluttering ruffles up and down them are so romantic and elegant. Use them in the bedroom or anywhere you want just a bit of luxury in an easy to DIY curtain panel.